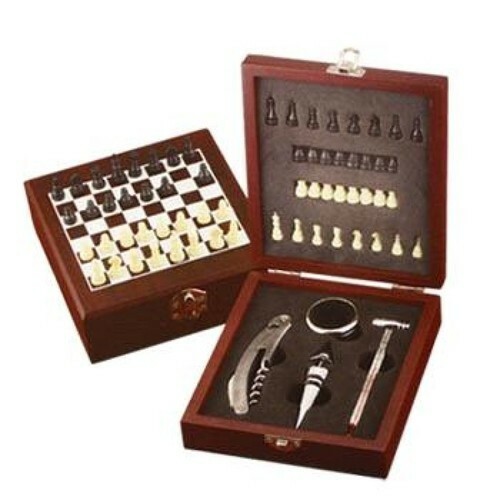 Leading Manufacturer of bottle bar set, wooden chess bar set and wine box set from Mumbai. 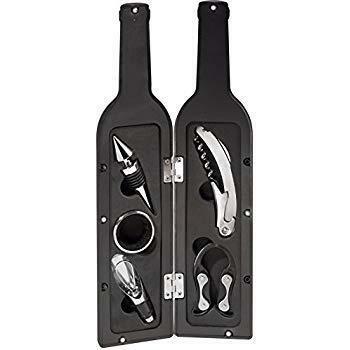 4 Piece Splendid Cherry Wooden Wine Box, Bar Essentials, WINE BOTTLE HOLDER GIFT BOX WITH TOOLS SET; Contains 1 piece of Cherry Wood Box, 1 Piece of wine Pourer, 1 Piece of Wine Stopper, 1 Piece of Cork Screw Opener, 1 piece of Drop Stopper and 1 Piece Temperature Thermometer. Multi-function and Extraordinary is the right word to describe the beauty of this gift hamper brought to you. This is a classy wine box made from cherry wood. Beautifully designed that stands out. Each piece is a work of art. This mind blowing gift is just perfect to make special occasions grand. Color: As the picture, Material: steel + ABS. 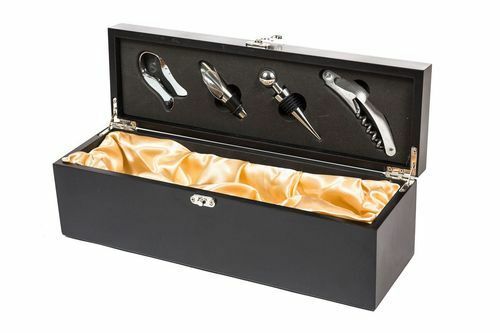 State of the Art Stainless Steel Wine Bar Set, Bar Accessories, Bar & Wine Tools. DEAL GIFT FOR MAN WITH TASTE.